Saturday, July 9 • 2:00 p.m. - 3:30 p.m.
One of the most beloved and celebrated musical ambassadors of our time, soprano Renée Fleming captivates audiences with her sumptuous voice, consummate artistry, and compelling stage presence. At a White House ceremony in 2013, the President awarded her the National Medal of Arts, America's highest honor for an individual artist. Known as “the people’s diva” and winner of the 2013 Grammy Award for Best Classical Vocal Solo, she continues to grace the world’s greatest opera stages and concert halls, now extending her reach to include other musical forms and media. 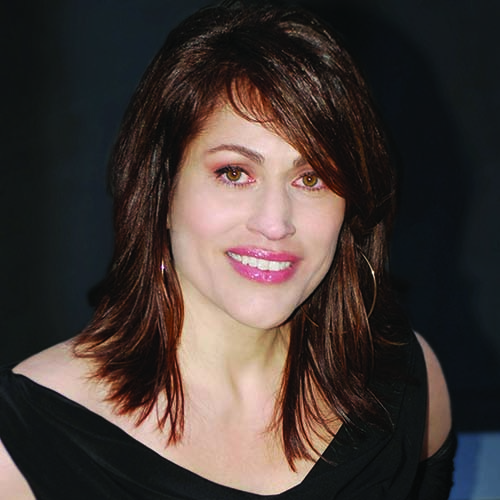 Over the past few seasons, Renée has hosted a wide variety of television and radio broadcasts, including the Metropolitan Opera’s Live in HD series for movie theaters and television, and Live From Lincoln Center on PBS. She brought her voice to a vast new audience in 2014, as the first classical artist to sing the National Anthem at the Super Bowl. As a musical statesman, Renée has been sought after on numerous distinguished occasions, from the 2006 Nobel Peace Prize ceremony to performances in Beijing during the 2008 Olympic Games. In 2012, in an historic first, she sang on the balcony of Buckingham Palace in the Diamond Jubilee Concert for HM Queen Elizabeth II. In January 2009, Renée was featured in the televised We Are One: The Inaugural Celebration at the Lincoln Memorial concert for President Obama. She has also performed for the United States Supreme Court and, in November 2009, celebrated the 20th anniversary of the Czech Republic’s “Velvet Revolution” at the invitation of Václav Havel. An additional distinction was bestowed in 2008 when, breaking a precedent, Renée became the first woman in the 125-year history of the Metropolitan Opera to solo headline an opening night gala. Dr. Rachelle Fleming specializes in the training and vocal health of the contemporary vocalist and singing actor. Currently, Fleming is a full-time member of the musical theatre faculty at The Catholic University of America. She has taught for the national tour of Billy Elliot and at universities and conservatories including The Actors Studio MFA program at The New School, The Eastman School of Music Community Division and the University of Miami, Frost School of Music. Fleming works with high-profile artists and is in demand for master classes and as a visiting teaching artist. She acted as Production Adviser for American Voices, a three-day festival on American singing hosted by Renée Fleming at The Kennedy Center, and as a panelist for the symposium session “Voice Training Today." An edited taping of this event later aired on PBS as a part of their Great Performances series. Fleming is a charter member of the Pan American Vocology Association (PAVA), and a member of the National Association of Teachers of Singing (NATS). Her work in teaching and research is also supported by professional experience in personal artist administration, stage direction, performance, television and recording. A versatile performer, Rachelle has performed in concert, televised performances and recordings with Cuban ensemble Tiempo Libre (Sony release); multiple Grammy-winning opera star Renée Fleming (Decca/Mercury release); and international jazz pianist and composer Fred Hersch. Her voice has been praised by Jazz Weekly for being “as agonizingly penetrating as a Dear John letter."